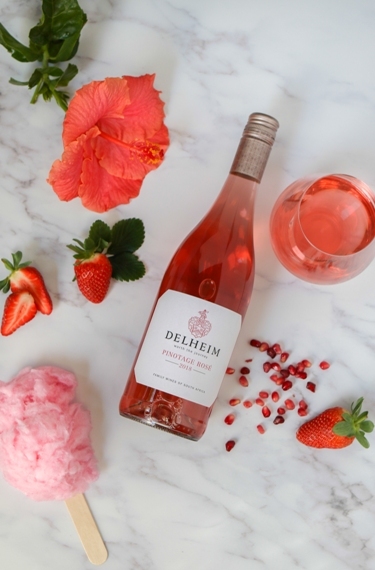 Delheim’s latest duo of Pinotage Rosé and Sauvignon Blanc promises to please wine-lovers and animals-lovers alike, due to the zero animal product production process that brought these two tantalising treats to volition. Traditionally animal products derived from milk, eggs, fish and including gelatin are used in the winemaking process to clarify the liquid before it is bottled. 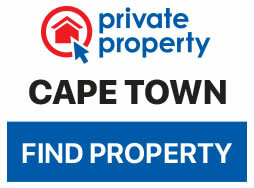 Due to this process the number of wines in Cape Town that are vegan and vegetarian friendly is limited. However unlike many other wineries, Delheim has taken a step in a new direction and began using a type of clay called Bentonite, as well as plant-derived proteins to especially create these two unique wines. This new movement reflects a larger philosophy of environmental awareness and responsibility as a founder member of the Greater Simonsberg Conservancy, suited member of the Wine Industry Ethical Trade Association and Biodiversity and Wine Initiative as well as a WWF Conservation Champion. The Delheim Pinotage Rosé was first created by Delheim patriarch and industry legend Spatz Sperling. This adored blush has had a loyal following since its 1976 launch as the first Pinotage Rosé in South Africa and in recent years alone, it was recognised three times as the best Rosé in the German market by the prestigious Weinwirtschaft magazine. Winemaker Altus Treurnicht says, “Although we had severe dry conditions, the average temperature during the harvest period was cooler than previous years”. As a result the grapes ripened slower which is ideal for the development of the fruit, although the drought did effect the size of the grapes which came with it’s own set of challenges. Vinification produced a wine with a rich salmon colour with a vibrant pink hue. On the nose, it shows notes of pomegranate and cranberry with nuances of candy floss and blossoms. Delicate flavours of red berry fruit linger on the palate and add to the freshness of this fruit-forward yet balanced wine. Reminiscent of a perky spring breeze, the vegan-friendly 2018 rosé also features a splash of Muscat de Frontignan (3.5%), which balances the crisp acidity and red berry sweetness with a juicy fruit character and adds to the vibrant perfume character of the wine and makes it a perfect pairing option for any plant-based or other types of meals. 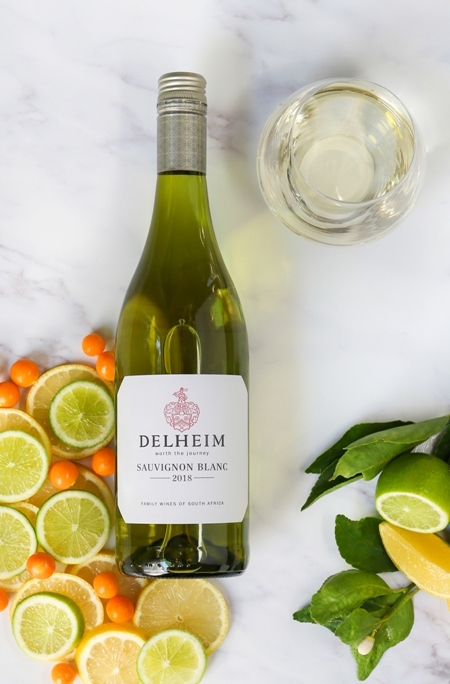 The 2018 Delheim Sauvignon Blanc was similarly impacted by the dry conditions. “Conditions like these have a specific effect on the aromatic profile of Sauvignon blanc,” Treurnicht says. “In this wine, the profile is more tropical fruit.” Once bottled, the wine revealed a light green hue with aromas of tropical fruit, citrus and gooseberry. On the palate, there’s green figs and lime. 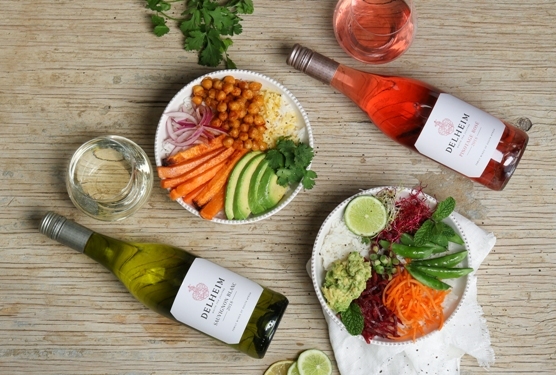 These stunning vegan-friendly wines are available at leading wine retailers and restaurants, as well as the Delheim Wine Estate itself. They sell for around R75 for the Rosé and R79 for the Sauvignon Blanc. Now you can enjoy your next planted-based meal with a gorgeous glass of cruelty-free wine.